Premier League Round 33 puts a duel between two top-level teams. 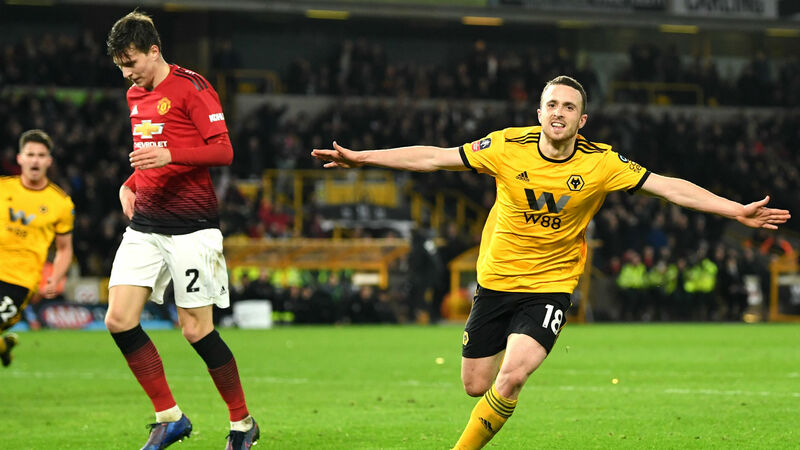 Wolverhampton receives Manchester United’s visit Tuesday evening at 21:45 on the Molineux arena. At the center of the field will be the referees’ brigade led by experienced Mike Dean, who has reached the age of 50. Wolverhampton is ranked 7th in the top division of England with 44 points accumulated in the 32 games played. The wolves have a fairly good time, although they lost in the previous round on the Burnley field with a score of 2-0, registering two wins and a draw before that failure, of which one of the two successes came the opponent in this round, which he defeated in the English Cup, qualifying in the semifinals of the competition. Espirito Santo’s students have probably had the best season lately, taking an honorable place in the first episode of English football, ahead of bands such as Leicester, Everton or Newcastle, which have a much more significant history in the Premier League. The Lusitan technician has one player unavailable, that is, Ryan Benett, who is suspended because of the yellow cards he has received. Manchester United starts according to bookmakers with the first chance in this duel, being in a better position than his opponent, and in light of the positive results of the past. Although they have been eliminated by wolves in the English Cup, Red Devils can not be considered inferior or complex because of the fact that more players were used in that game, which normally do not catch the batch of the first team. The team coached by Solskjaer managed to score in the previous stage, on his own field, in front of the Watford, with the score of 2-1. The Manchester group is aiming in this domestic championship to be in the third stage of the podium, being at the moment draw to points with Tottenham, which is on that place. With 61 points streaked in the 32 rounds, Lukaku & Co will try to impose in this duel, being also a match for the quarterfinals of the Champions League, where they will meet the Spaniards in Barcelona. I expect a balanced English duel, where the most likely difference will be through a fixed phase. I think Manchester United can force the victory, having a lot more valuable than his opponent. I’m staying on a match where both teams will score, being a midfield game usually ending with many goals.